JONNIE WALKER "BLACK PODIUM" EVENT. WIN VIP TICKET. 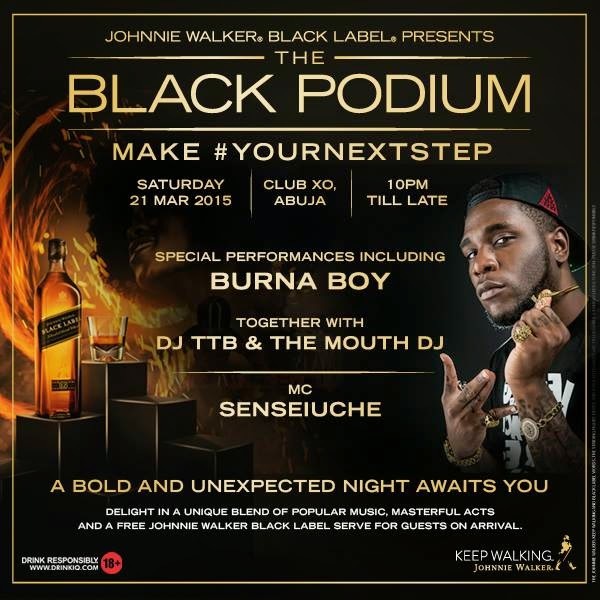 The Johnnie Walker Black Podium, the nation’s boldest, most unique party experience, takes place at XO ABUJA, on the 21st of March! Stand a chance to WIN a VIP Table at the Black Podium for you and 4 friends, as well as a bottle of Johnnie Walker Black Label! 3.) Tag 4 friends you would like to share a VIP experience at the Black Podium with in the comments section below.